HAVE YOU EVER FELT LIKE YOU ARE JUST NOT ENOUGH? We have ALL wondered if we are good enough, smart enough, pretty enough, skinny enough…fill in the blank. We ALL look for ways to feel like we are “enough.” Some of us seek it in popularity, others in appearance or performance, while others might seek attention in unhealthy ways. The moment we realize that our worth is found in Christ alone is the moment we will stop asking and wondering if we are enough. In Worth It! Worth It! 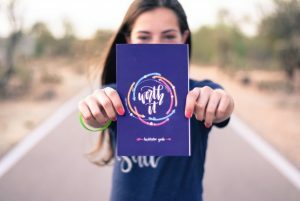 A Girl’s Journey to Discovering Her Worth in Christ, a team of women from P31 Fitness take teen readers on a seven-session journey through difficult issues including confidence, worth, appearance, purity, modesty and love. Each chapter includes a key verse, action challenge, coloring graphic and journaling pages. The Worth It! book as well as video study and facilitator guide are also available for purchase below. 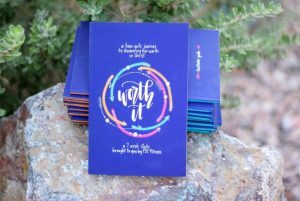 In Worth It!, the book, a team of women from P31 Fitness take teen readers on a seven-session journey through difficult issues including confidence, worth, appearance, purity, modesty and love. Each chapter includes a key verse, action challenge, coloring graphic and journaling pages. A facilitator guide and a Video series (DVD or Downloadable) are also available for purchase. We also sell BUNDLES for small/large groups for youth groups or small group studies (videos, guides, books, and more). Scroll down to “bundle and save” to shop. Click on the book below to purchase! A team of women from P31 Fitness take facilitators through each session of the Worth it! book to help prepare them to lead and teach on subjects such as confidence, worth, purity, modesty and love. Each session includes an introduction to the topic, teens’ common struggles, a leader devotional, and a list of possible activities and games to do as a group. With all the tools provided in this book, facilitators will be equipped to host a group of their own. We also sell BUNDLES for small/large groups to assist you in leading your own study today (videos, guides, books, and more). Scroll down to “bundle and save” to shop. A short video from P31 Fitness founder, Rachel Curtis, explaining the intense need for this program for all girls. Rachel Curtis has 3 girls of her own, and she has been a teacher and coach for years and knows the challenges that teen girls face in society. She wants all teens to know they are WORTH IT! We would love to hear from you! Feel free to reach out to us to inquire about speaking engagements, support, or general questions about the Worth It! study!